Executive Chef and Catering Director for Mandarin Oriental, Paris, Thierry Marx supervises the hotel’s two restaurants, Bar 8, the Room Service, the Cake Shop and catering for meetings. 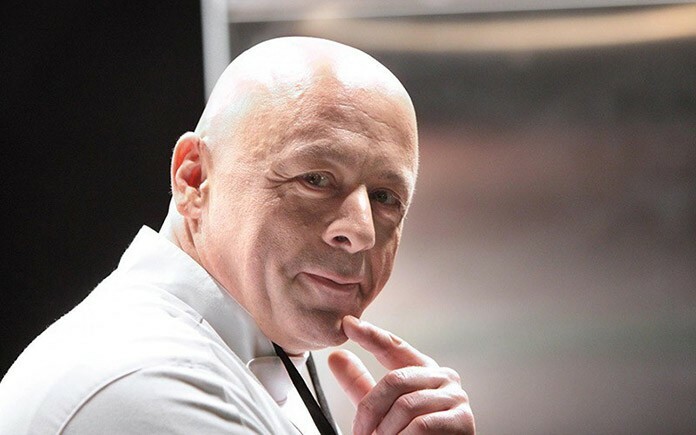 One of France’s most distinguished chefs, Thierry Marx trained with some of the country’s best chefs at restaurants including Ledoyen, Taillevent and Robuchon. He was awarded his first Michelin star in 1988 at Roc en Val in Tours, and another at Cheval Blanc in Nimes in 1991. He spent ten years at Chateau Cordeillan-Bages, a Relais & Chateaux in Gironde, where he has held two Michelin stars since 1999. In 2006, Thierry Marx was elected Chef of the Year by the GaultMillau guide and by Le Chef magazine. He was awarded once again two Michelin stars in March 2012, with the signature restaurant Sur Mesure by Thierry Marx. With his creative and innovative cooking, Thierry Marx mixes French tradition with Asian influences, always with the avant-garde textures, flavours, forms and colours for which he is renowned. His cuisine draws inspiration from his extensive travels and a career that has taken him to Australia, Hong Kong, Thailand and Japan. Thierry Marx believes that food is about pleasure and sharing. He wants to reach the heart with food that is beautiful to taste and to look at. In his role as Executive Chef at Mandarin Oriental, Paris, he is behind unforgettable and very different experiences for each of the restaurants, whose menus have been crafted over months in his Paris Food Lab. An aesthete with an eye for detail, Thierry Marx worked closely with Agence Jouin-Manku to create an exclusive dinner service for Sur Mesure par Thierry Marx, the hotel’s gastronomic restaurant. With creativity to drive him, beauty in his sights and pleasure as his ultimate goal, Thierry Marx leaves nothing to chance in making Mandarin Oriental, Paris a reference for gastronomy.